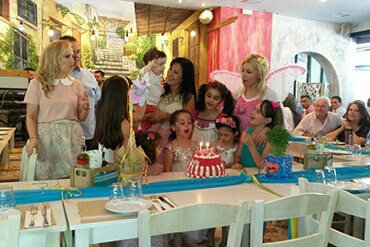 At the "Aroma Ellados" restaurant in Haidari Athens we are able to arrange all different types of events and getherings for your special moments. We have had wedding receptions, baptism gatherings, birthday parties and other celebrations being held at our restaurant over the years. We have a very flexible menu for any types of events, and we can prepare all types of food and cuisine depending on your specific requirements. If you are having an event to celebrate a baptism or a young ones birthday party then we can arrange a menu specifically for the children, including soft drinks, ice creams and other tasty things on the menu. 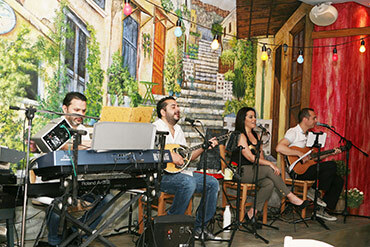 We are also able to arrange entertainment for your events such as live music if you require. To find out more about how you can hold your event at our restaurant please get in contact with us so we can discuss your requirements and provide you with a full plan of what we will able to offer you.